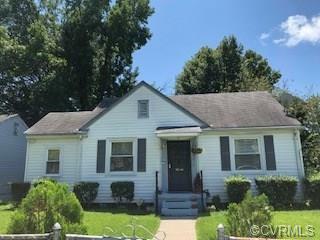 Cute bungalow with 2 BR and 1 bath, all hardwood floors and tile bath! Living Room, Eat-in kitchen and small study off LR not reflected in sq footage. Fenced front yard, shed in back yard. Home will be sold in AS IS condition. No known defects bt seller's choice.